Careful analysis of a work and its intended audience can save a writer from adopting costly marketing strategies that don’t produce enough sales to justify their expense. Both fiction and nonfiction writers should give consideration to this issue given the cost of many promotional sales ideas. One item that writers sometimes fail to determine in advance of initiating marketing tactics, is who the intended audience for their book really is, even though this is a basic issue one should analyze when one writes a Marketing Plan. 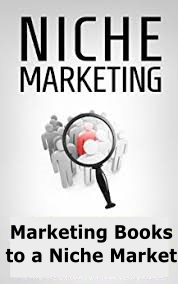 All too often, authors will implement marketing tactics that simply are not suitable or, at the very least, not profitable, because of the subject of their book. Nonfiction books generally outsell fiction books three to one, so the issue is not whether a book is fiction or nonfiction. The issue is the topic itself. The more esoteric the subject, the more specialized, the less likely that generic sales ideas will work. Most authors will sell books, no matter the subject matter, at book fairs and other signing events of this type. Some will sell numerous copies because the subject of their book is intended generically for “adults who read fiction – or adults who read suspense.” This is a large group of people. Others, mostly those who’ve written nonfiction books, probably won’t have this same level of sales success. This is disturbing to a lot of first time authors and can be very depressing as one watches neighboring book sellers sign copy after copy of their books, while the niche writer may sell fewer than a dozen books all day long, and sometimes far less. This is not to say that book fairs and events are not worth attending, but this is where understanding the nature of the work and the niche market is helpful. For writers of niche books, it truly pays to focus one’s efforts. For example, it may well be worth the cost to get a vendor’s booth, even though these can be expensive, at trade shows or events that specialize in the subject matter you’ve written about. Case in point, for a book that deals with sailing, the best audience will likely be at boat shows, marinas, yacht clubs, marine stores, sailing magazines, etc. Will someone at a generic signing buy the book? Of course, but sales will soar at specialized events. A book on aviation will sell best at air shows, possibly museum signings and aviation events. A book on horses will do best at equestrian events, tack shops, fairs, clinics, western attire stores and veterinarian offices. The idea is to sell where people go who are specifically involved with, or interested in, that topic. Advertise only in periodicals bought by people who are interested in the subject. Advertising in magazines can be extraordinarily expensive, but advertising this way can potentially render one a high margin of profit if placed in the right magazine. Submitting articles to magazines that cover the subject matter is another activity that is worth the time and energy. Include an author’s note at the conclusion of the article that gives the title of the book and where it can be purchased. Remember trade magazines if the subject of the book is appropriate for a trade publication. While name and face recognition are a beneficial byproduct of appearing at just about any signing, the fact is generating book sales leaves a writer feeling much happier than just sitting and visiting with customers all day long. If you’re going to attend generic signings and events with a niche book, develop a ploy for attracting customers. Knowing the intended audience and planning accordingly is vital not just for successful sales, but for maintaining a positive outlook and excitement about your project. For a plethora of marketing ideas, see John Kremer’s 1001 Ways to Market Your Book.